and was, by all accounts, adorable. Johnny chatting in the hallway before the show. 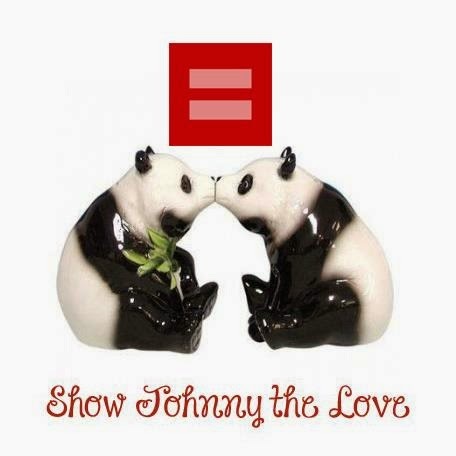 to Johnny's FB fan page! Thanks to Anastasia Pryanikova for posting this one! Johnny's performance of Heartbroken at ITNY. Beautiful and poignant, every time. (2) ALERT! We've got to step up our People's Choice voting!!!! Voting ends Tuesday, November 9! (3) Eric Alt's Halloween party is tomorrow! And a number of fans are planning on going! Which brings us to: What should Johnny wear? ... a costume choice which clearly demands that someone twitpic the hell out of it. However, rumor has it that this is NOT the costume he'll be wearing Thursday. I'm sure he's already decided, but just in case he's still looking for inspiration, here are our poll results from last week's survey! Estrellita was followed closely by our number-two choice. With only a few votes separating him from Estrellita, our second place goes to the one and only Viacheslav Romanov. Because we miss him terribly and haven't seen nearly enough of him lately. Dear Viacheslav, please tell us you are not finish. 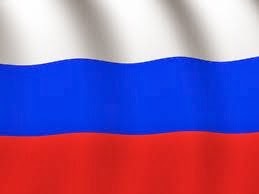 Spasiba. Rounding out the top five were: A geisha, a lifeguard in a white Speedo, and Michelangelo's David. All of which I'm sure Johnny could pull off inimitably. Possibly all at once. In honor of GaGa's meat dress, Johnny could rock the raw chicken breast epaulets suggested in BGJW "The Future Is Mine" as part of a Sgt. Pepper-style outfit with pants made of feathers! Adam Ant or Ziggy Stardust (two write-in votes each). A fairy godfather in a pink crystal suit and designer sunglasses, with wings and a really cool starburst wand. Paint yourself day-glo orange, pour a quart of Wesson over your head and go as Evan. Brian Slade from Velvet Goldmine. A rock star wearing snug leather pants, a snug shirt and jacket... In other words, kind of like he looked at #FFANY! King of Weirlandia (with a kitten as an accessory, of course). Cleopatra. He'd be hot in ancient Egyptian drag. Hockey player with a bedazzled rendition of a hockey uniform. Augh! This is unfair! There's too many good choices and I wanna see him in everything! One more: Trophy housewife 'cause he'd be stunning! Monday Morning Roundup: Hairography! BOTB Flashback! ITNY! People's Choice! OK people, grab your caffeine, buckle up, keep your arms and legs inside the vehicle at all times, and HANG ON! I haven't been this excited since the good ole days of petitions and NewNowNext voting! So much to talk about! So much tweeting to do! So much hair to roll around in! Speaking of which, let's just get this out of the way right now. All I know is that on Friday Johnny tweeted at 6:42 am: "Getting ready to go to my book cover shoot! Such fun to be had! @tmodlin @joeycamasta @EricAltSalons Get Ready!" And then about 12 hours later, this: "Pulling up to Mari Vanna for a big fab dinner with a giant 'fro from the shoot and uber tan face. #letsscareeveryone." Cinema Tropical Awards last Friday, October 22.
the Ten Best Latin American Films of the Decade. which inexplicably mostly has no audio. Johnny silently appears from about 35:25 to 35:59. 'Fro and all. I love it. doing @tmodlin at Eric Alt Salons. Call today for your appt--ask for Dorine." with ice dancer and BOTB competitor Shae-Lynn Bourne. and MAC artist-relations pro Delphine Nicholls. Says Agentress Tara: "They make EVERYTHING possible! available to him. And they arrange everything! 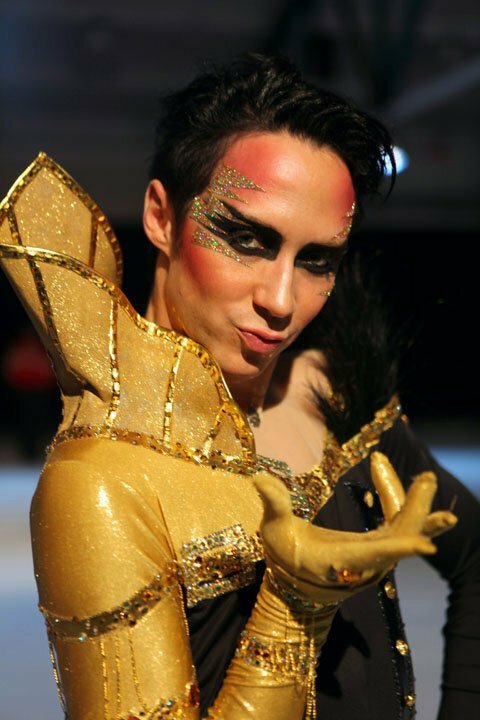 ﻿The amazing artists at MAC also were responsible for the fabulousness that was Johnny's Bad Romance makeup the last time he performed at Ice Theatre of New York back in April. Tonight is his second appearance of the year at ITNY, where reportedly he'll again be performing Heartbroken, according to the ITNY box office, as part of the 25th Anniversary Gala honoring the truly gracious and inspiring Dorothy Hamill. I love Dorothy. I was thrilled to meet her at Ice Dreams in April, but long before that, I watched as a spellbound high school sophomore while she captured the Olympic gold medal in 1976. She also earned the gold at Worlds that year. And here's an interesting tidbit: Dorothy won the US national championship in 1974, 1975, and 1976. 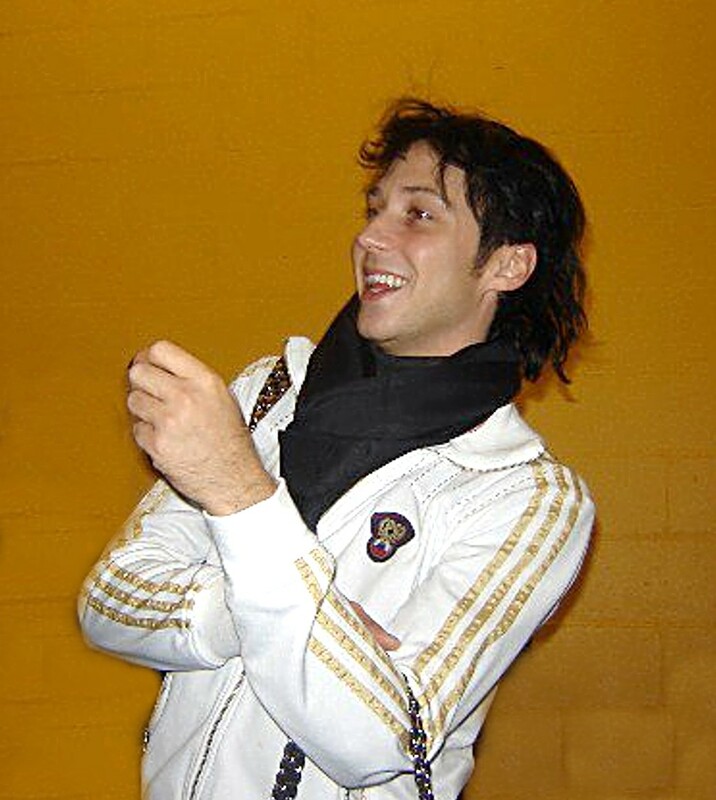 Exactly thirty years later, another young skater would match that same remarkable achievement in 2004, 2005, and 2006: Johnny Weir. Both tonight's performance--which also will feature the lovely Sarah Hughes--and the gala dinner are completely sold out, a fact that has ITNY positively thrilled. To all the lucky fans who will be there: Have a wonderfully fantabulous time! Please post lots of pics! Cuz the rest of us will be just be over here in the corner with our tepid water and our dry bread crusts, wishing and sighing and checking Facebook every five minutes, and avoiding Dancing With the Stars. And while they do already have lists of nominees in each category, write-ins also are welcome during this phase. OMGAGA!!! WE CAN WRITE IN OUR FAVORITE! 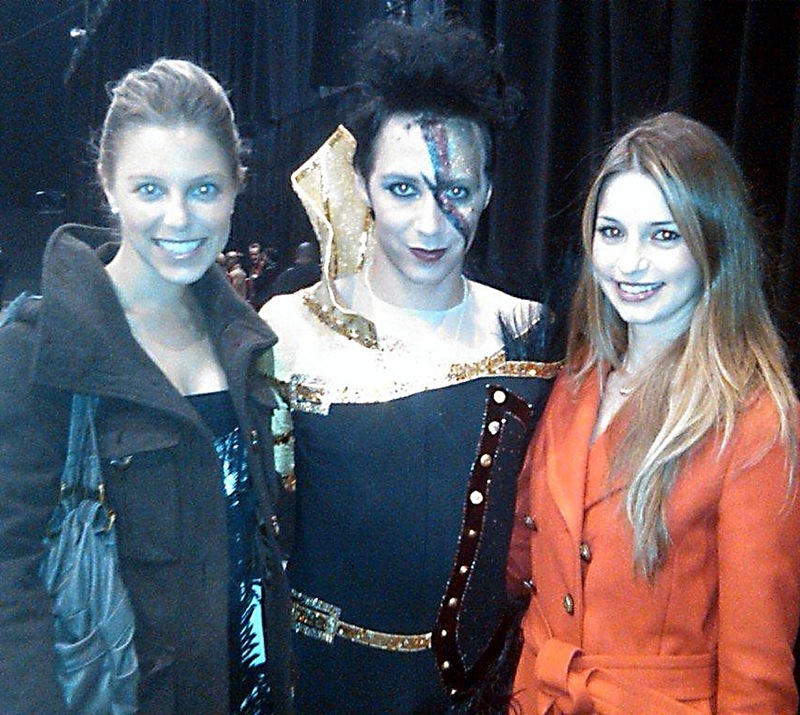 HELLO YES OF COURSE I MEAN BE GOOD JOHNNY WEIR! LET'S GET HIM ON THE BALLOT TO WIN A PEOPLE'S CHOICE AWARD! IT'S ALMOST AN EMMY!!! KIND OF! So as it began to dawn on us that heyyyyyyyyyyyyyyy, we could get on this like we did the NewNowNext voting, a bunch of fans decided on Twitter Saturday night that we should maybe aim our votes at one category to give Johnny a better chance to make the ballot. We were debating between "TV Obsession" and "TV Guilty Pleasure," but we all agreed that "guilty pleasure" implies watching something that isn't very good--like, you know, Guilty Pleasure nominee Jersey Shore--which certainly isn't true of BGJW. So we decided on "TV Obsession." Because we are nothing if not obsessed. In a good way, of course. Not in a crazy, I've-watched-"Just-Dance"-oh-about-8,000-times-plus-I-have-now-ordered-enough-t-shirts-to-clothe-all-of-Albania kind of way. So: You can vote over and over and over in this category on the People's Choice Awards website! 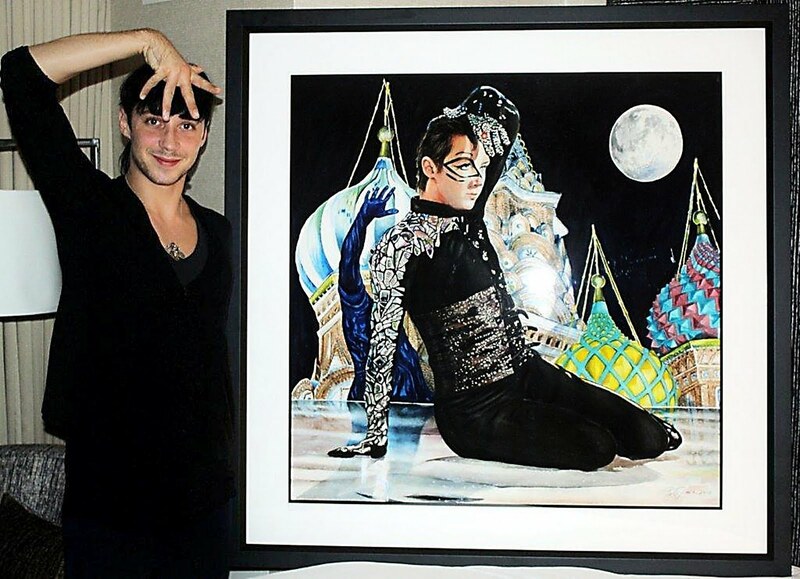 Just check the box next to "Other," type in Be Good Johnny Weir, and click "Cast Your Votes." The page will refresh with the next category. To vote again, scroll down and click "Previous Category" to return to the "TV Obsession" voting page. And yes, just like with NNN, retweets also counts as votes! Our Olympic tweeters have already answered the call, and you can watch our numbers grow here. It's going to be a little harder to track our votes, because of course other tweeters are voting for other shows under this same hashtag (those White Collar, True Blood, and Stargate Universe fans are kinda rabid ...). "We are each an army of one. and never listen to idiots who tell you 'no.'" and positive environment for everyone." will go to The Trevor Project foundation. Wow. All that win in just one week! Bask in the afterglow of Spirit Day. Say a quiet prayer for all those who need help and reassurance and comfort and empowerment, and a prayer of thanks for all the beautiful #purple love everywhere yesterday. 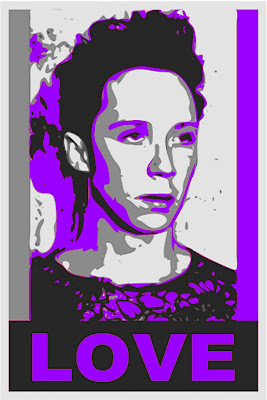 Decide to follow Jeremy Abbott's lead and go with #purple again today. Because you love it and it might still be Wednesday somewhere. Like in your heart. Forever. Watch Johnny's "Just Dance" performance from Monday's Battle of the Blades. Because the lighting is kind of #purple-y. Nominate Johnny as "Must-Follow Personality" in the Fourth Annual Mashable Awards. Message Trish Aaron-Misiura to request one of her Johnny-inspired Christmas ornaments in exchange for donating a toy to Toys for Tots. Buy one of each style of t-shirt. Buy two t-shirts in every size. Because, you know, Christmas gifts. Message Trish again and ask her to put you down for ten more ornaments. Feel inspired by Trish's craft ability. Craft purple tent in front yard. 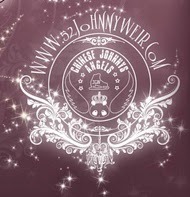 Retweet every mention of Johnny and of the t-shirt project. End every tweet with #ArmyofOne. Add #hombre randomly. Watch Festa '09 "Poker Face" for variety, with a "Just Dance" chaser. Buy another t-shirt. Because you can't remember if you got one for your best friend from kindergarten of whom you lost track years ago but isn't that what Facebook is for? Rename cat "Rainbow." Since it's a tabby and the purple came out kinda stripey. Buy tank top for cat. Frown at the thought that this harks back to those hideous Puritan names, like "Fear" and "Silence" and "Judgment." Swear loudly to no one in particular that those damn Puritans have a lot to answer for. Watch "Just Dance." Imagine the Puritans watching with you. Crack up with unbridled Merriment and unrestrained Joy while you picture the Uncomfortable Squirming. Decide "Pride" works just fine. Buy a case of each style of t-shirt. To trim the tree, of course. Message Trish again. Just twenty more ornaments ought to do it. Buy another case of t-shirts so you can make them into bags for your bags for your bags of bags of t-shirts to go into. Wonder if the Puritans ever named anyone "Preposition." Buy a case of each style of t-shirt. Because you're going to need them. To create a t-shirt tree to go with your Balenciaga tree, silly. Gasp! How could you have forgotten? Buy two more shirts in "Fabulous Bear" size for Eric Alt and Joey Camasta. Update Facebook with yet another fab new purple profile pic, watch "My Way" because it's also fab, buy 300 more t-shirts, retweet #ArmyofOne 1,000 more times, eat another pie. Thank Grilled Cheesus, sweet Weirsus, and Holy Mother of Gaga that the Puritans are long gone. Let's all work together to keep it that way. Buy tickets here; more info here! Very special thanks to Ninja Girlfor her invaluable help with this post! 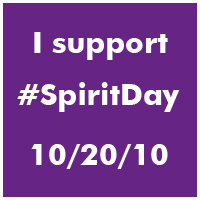 In remembrance of the six teen boys who have committed suicide in recent weeks--and of all others who came to that decision of utter desperation through bullying of any kind that simply became unendurable--I am standing up and going purple for today, October 20, Spirit Day. You can find out more about Spirit Day from GLAAD, which notes that the idea originated with teenager Brittany McMillan, was inspired by high schools' "Spirit Week," and can be summed up in three words: Everyone Rally Together. "Spirit Day honors the teenagers who have taken their own lives in recent weeks," says GLAAD. "But just as importantly, it's also a way to show the hundreds of thousands of LGBT youth who face the same pressures and bullying that there is a vast community of people who support them." GLAAD notes that "purple symbolizes 'spirit' on the rainbow flag, a symbol for LGBT Pride that was created by Gilbert Baker in 1978." So I am purple with love, compassion, and pride today. I'm also a tiny bit purple with rage. I cannot fathom what drives people to bully other human beings. It's a mindset that I absolutely cannot comprehend. The complete lack of empathy for another, the delight in inflicting pain, the utter disregard for consequences and the lack of any sense of accountability (the roommate whose secret video-streaming of Tyler Clementi drove Clementi to jump off the George Washington Bridge is now complaining that he's a victim)--this combination of factors makes me furious. Sorry, I don't have any sympathy for bullies. I don't care about finding excuses for them, about explaining their actions away with, "Well, obviously they've been hurt themselves..." That doesn't cut it for me. There is no explanation, no excuse for what goes on all over the country. Bullies choose to do what they do. And they--just like anyone else--could choose not to. But they don't. Did we learn nothing from Matthew Shepard? This has to stop. Where are the adults? Where are the parents? Who is raising these people to think that such attitudes and behaviors are in any way acceptable? Somebody's doing it, because children are not bullies at birth. Someone along the way has taught them that this is an OK thing to do. Oh wait. Some of the bullying is actually perpetrated by adults. Equally appalling is the incredible sense of isolation and despair that envelops young people and drives them to suicide. And I believe that the feeling of being completely alone is even more profound for young LGBT people, who face unique pressures in a society that is still floundering badly in coming to terms with the idea that sexual orientation might have just a teeny bit of variation across the population. We must get the message out there to our LGBT youth that there is hope and help. The It Gets Better Project, founded by Seattle columnist Dan Savage and his husband, Terry Miller, is one resource that aims to do just that. And it has exploded across the Internet with hundreds of videos of encouragement and support. Another is the Trevor Project, an organization founded "to promote acceptance of lesbian, gay, bisexual, transgender and questioning youth, and to aid in crisis and suicide prevention among that group." Their mission statement: "The Trevor Project is determined to end suicide among LGBTQ youth by providing life-saving and life-affirming resources including our nationwide, 24/7 crisis intervention lifeline, digital community and advocacy / educational programs that create a safe, supportive and positive environment for everyone." Yes. Please. Let's all work together to create an environment in which we celebrate our differences rather than feel threatened by them, and in which we embrace that which unites us: Our humanity. We're all human beings here, strong in our diversity, beautiful in the rainbow that is humankind. There are far more similarities among us than differences. We all want to feel accepted. And we all want to love. And be loved. So may the fruit of this Spirit Day be just that: Love. Also joy, peace, patience, kindness, goodness, faithfulness, gentleness, and self-control. "Suicide is never the answer. If you want to send a message, live. And live the way that you want to live. your statement to the world. Let me live. Let me be special. Skate for the Heart, Here We Come!